A century ago the guns fell silent and the show of solidarity to mark the occasion before the kick-off, was perfectly observed. As ever and rightly so. 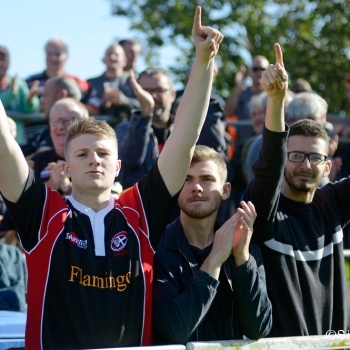 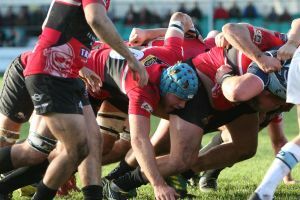 Full marks are in order for both sides in this 1st Round Championship Cup tie – for producing another thrilling encounter and on such an important day. It was perhaps appropriate too – that after a couple of days of gales & deluges – that the sun should appear. 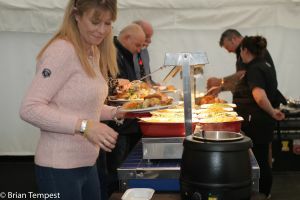 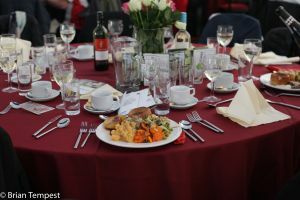 The scene was therefore set for an afternoon’s entertainment that didn’t disappoint. 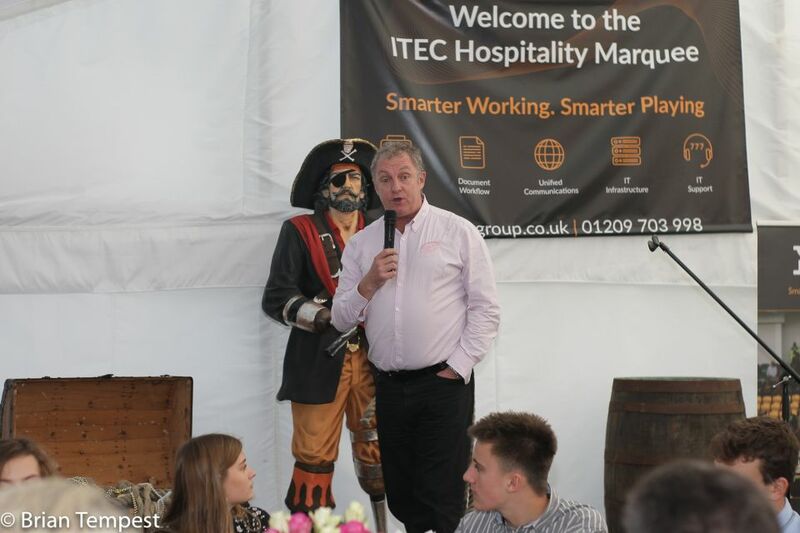 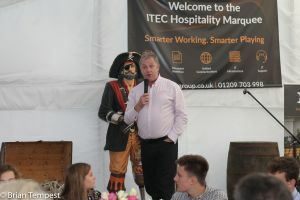 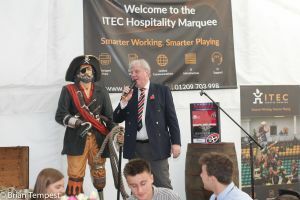 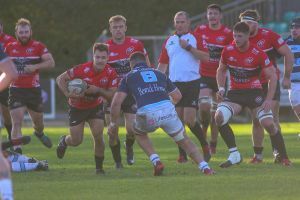 As most would have expected – the number of changes by both the Pirates and Bedford since last they met – played their part in what was to unfold. 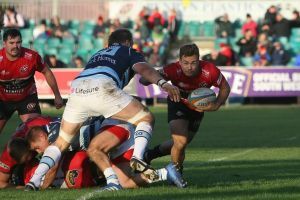 New partnerships needing time to establish, lead to a few errors for sure. 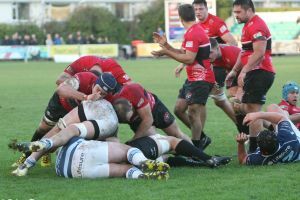 But most resulted from the fierce defences on show – where no quarter was given. 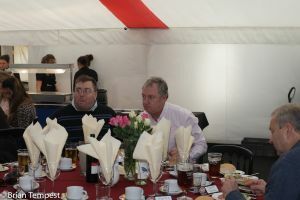 And there was also the guarantee of fresh faces eager to impress. 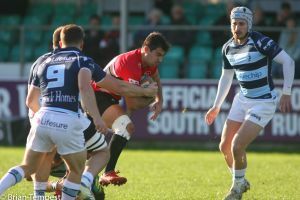 For the Pirates – Argentine international, Javier Rojas Alvarez, making his first start of the season – certainly made his mark. 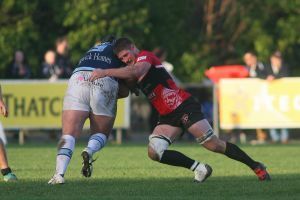 As he had in the league clash upon his introduction. 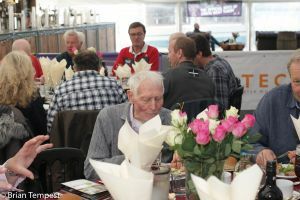 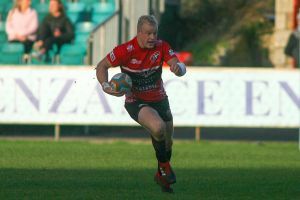 One missed penalty was his only blip, as the six other successful pots, proved to be the cornerstone, of the Cornish side’s success. 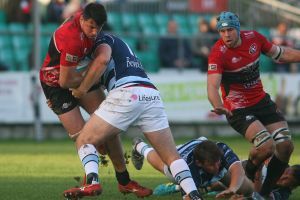 Indeed it was the fly-half’s 4th minute penalty that set the Pirates on their way – to hand them a lead they were never to relinquish. 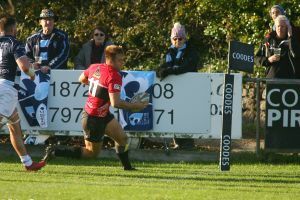 A flowing move minutes later, then gave the hosts a cushion they were to be grateful for – as Harry Strong rounded things off in the Scoreboard Corner – for their only touchdown of the game. 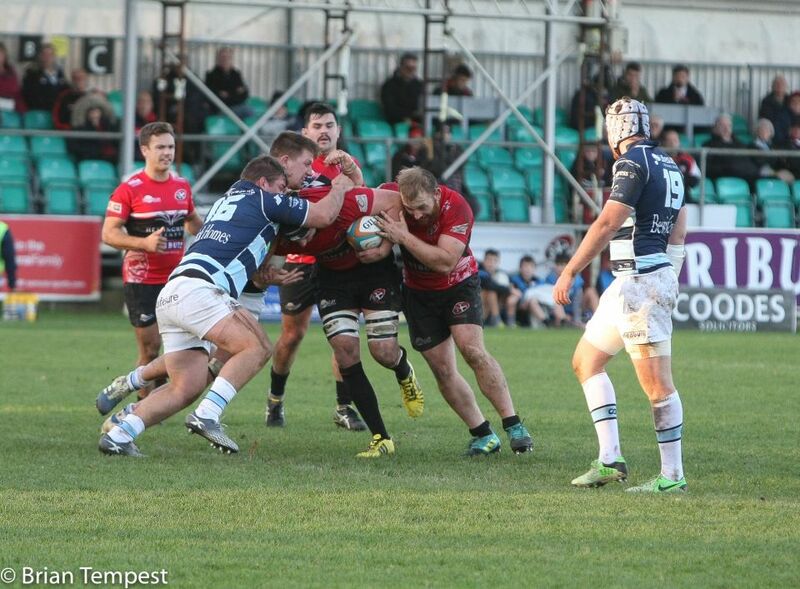 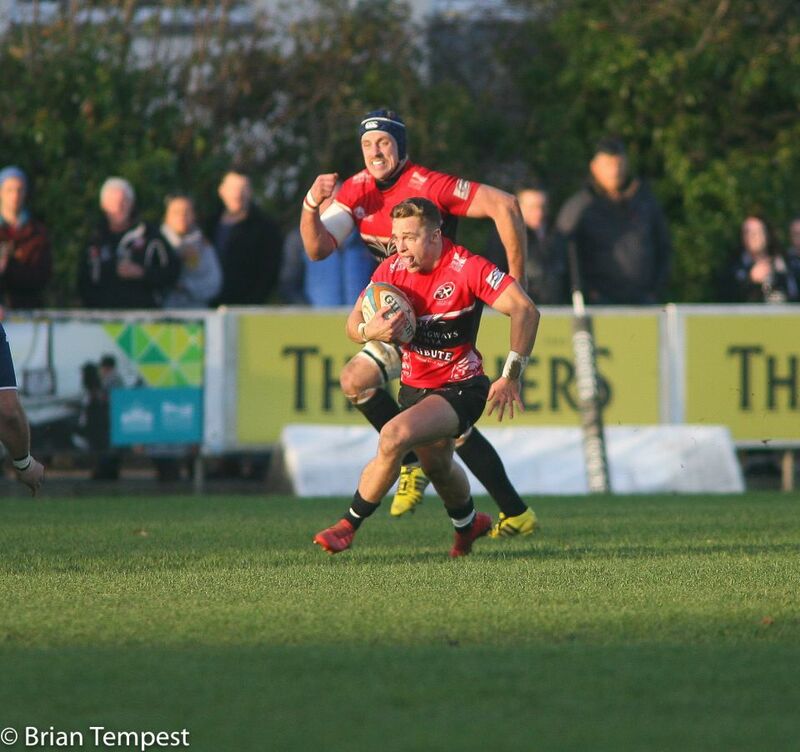 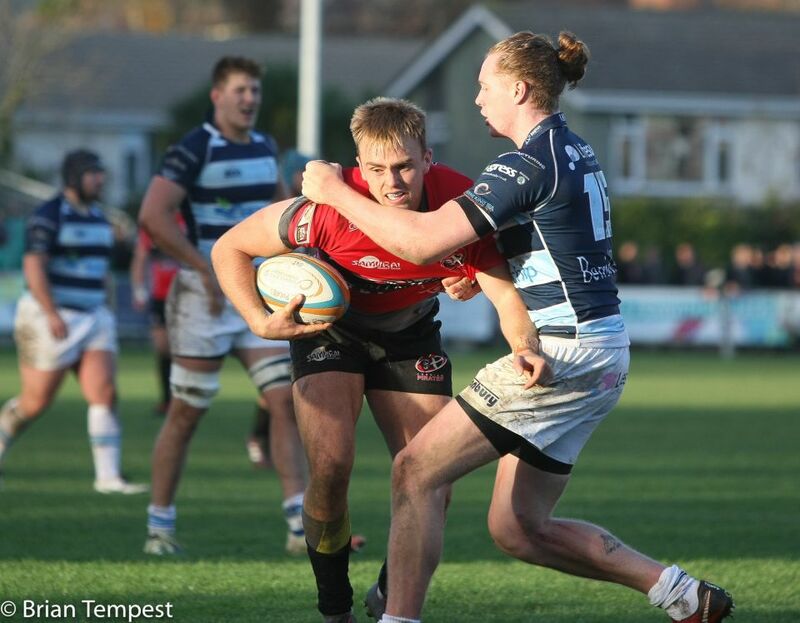 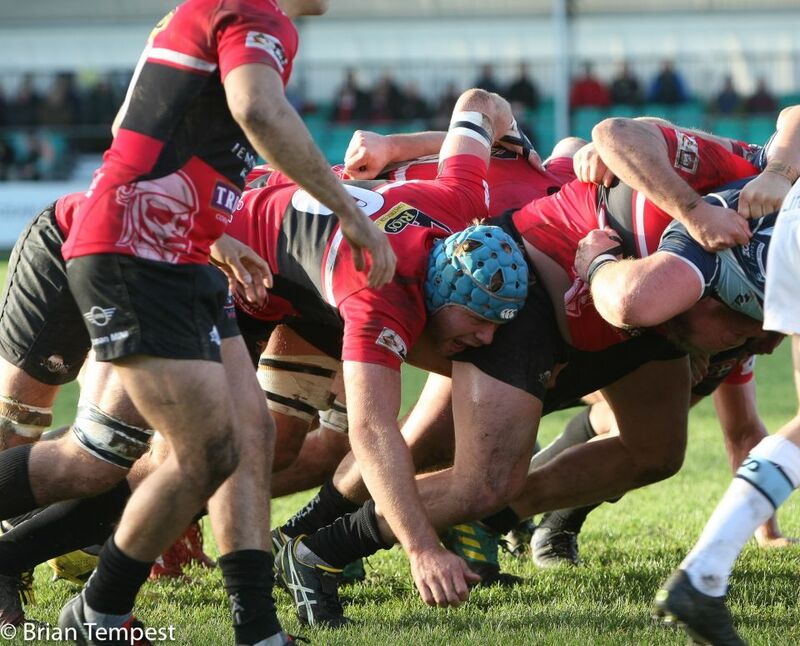 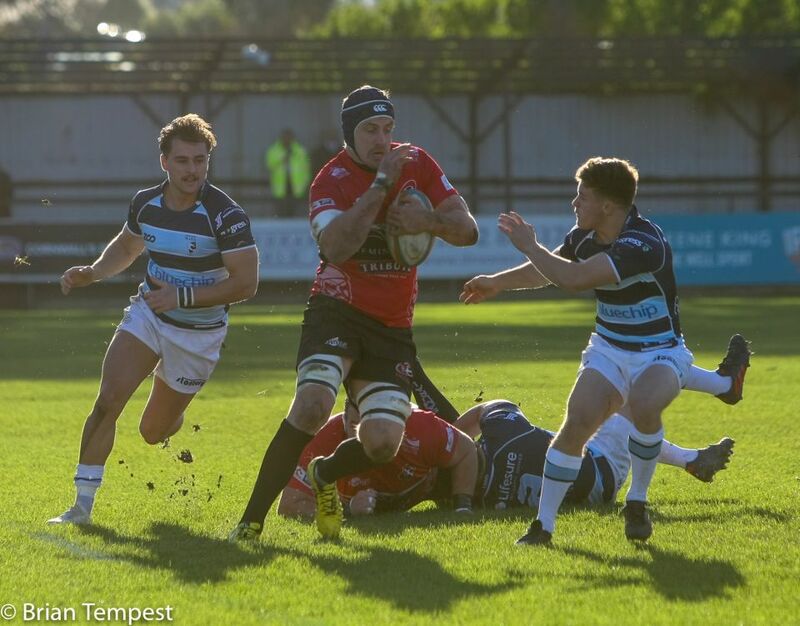 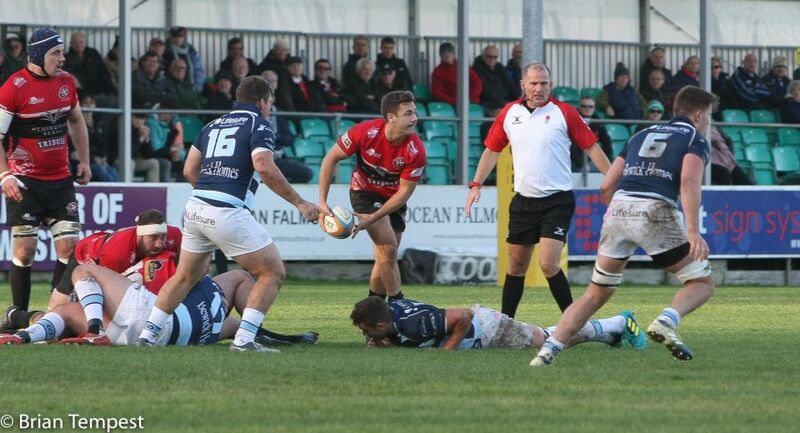 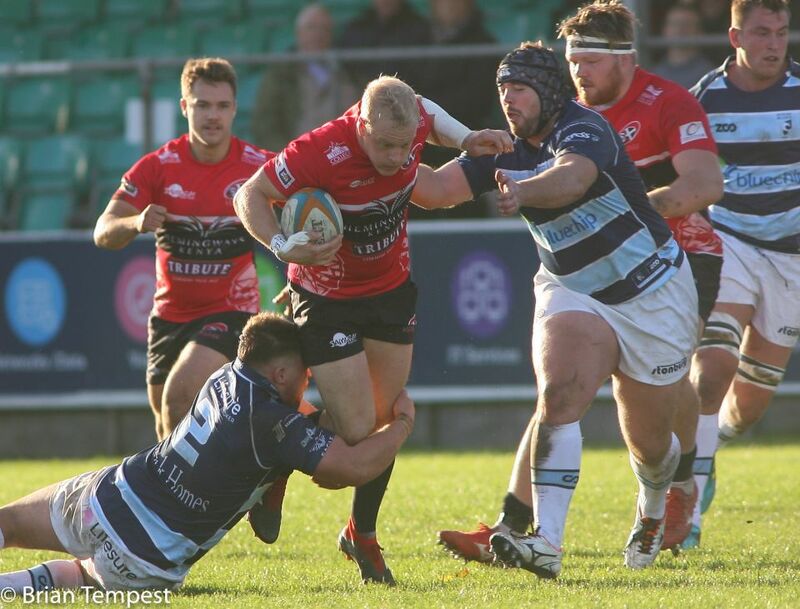 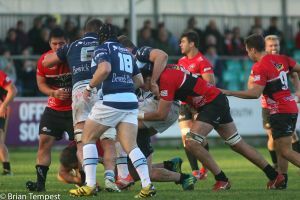 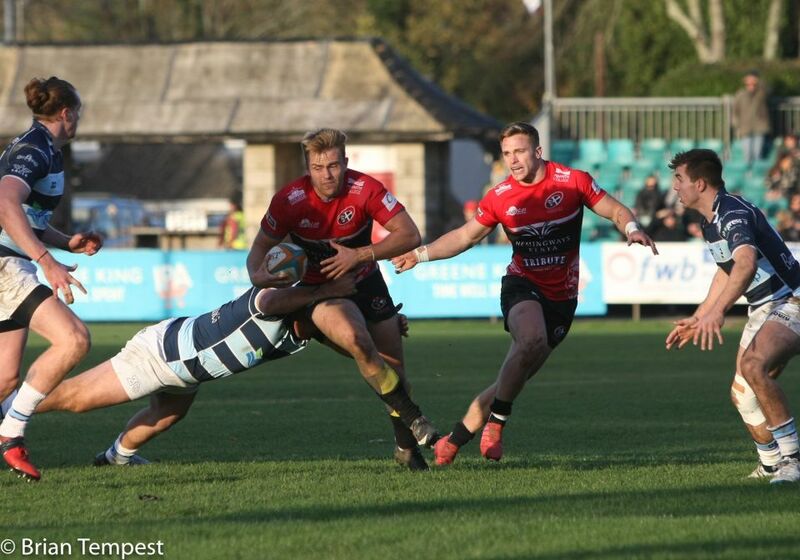 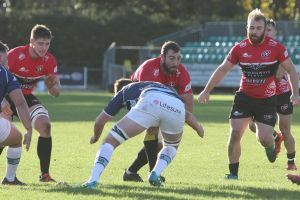 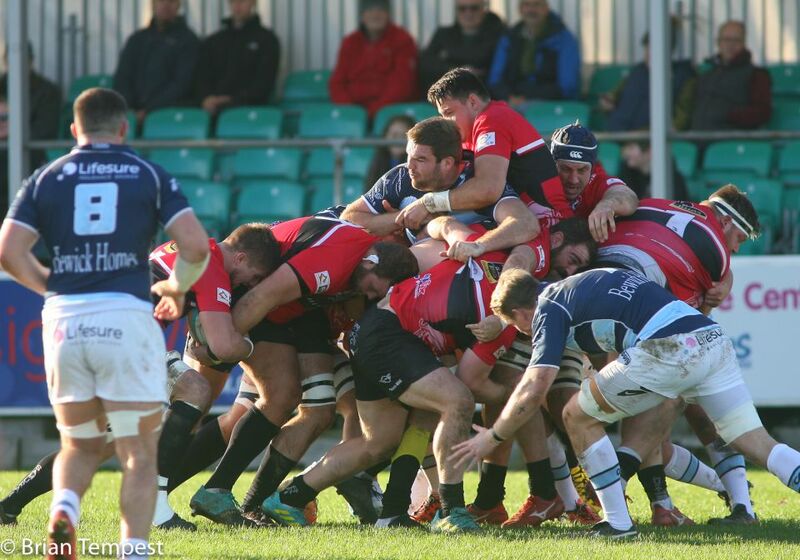 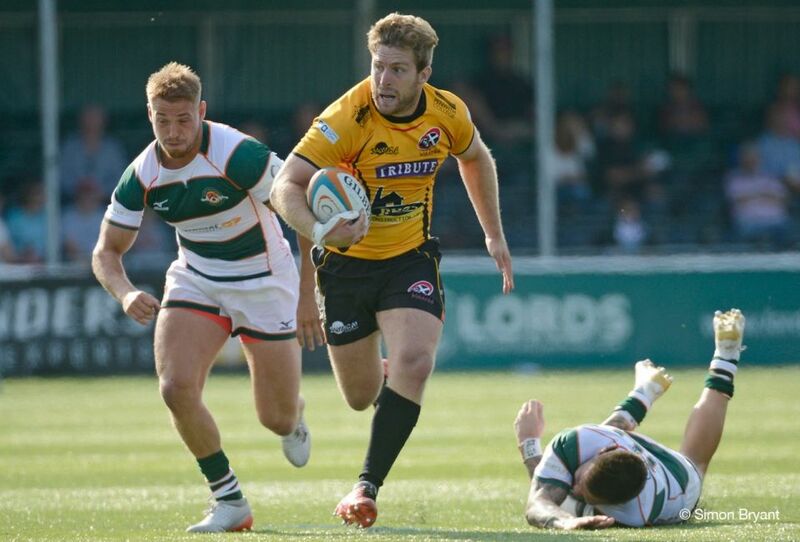 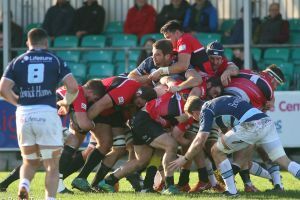 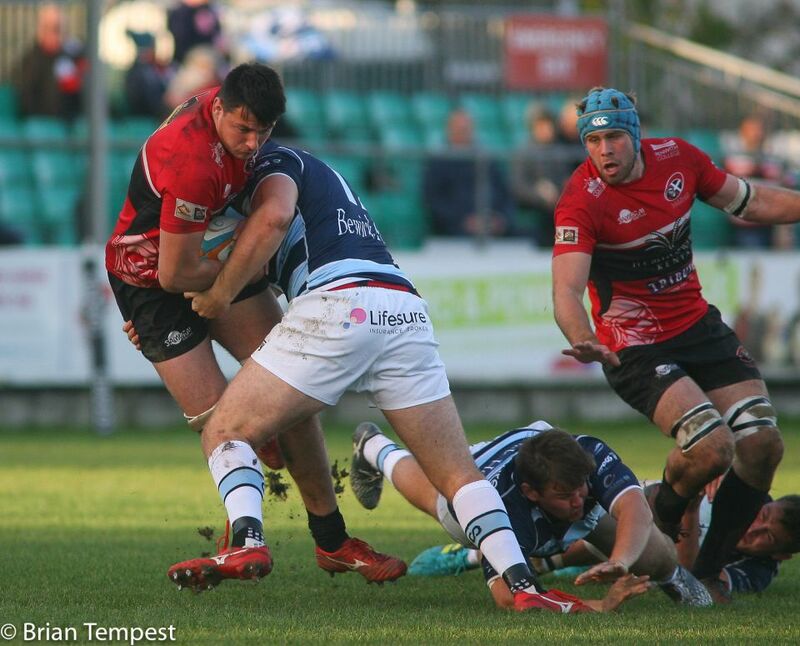 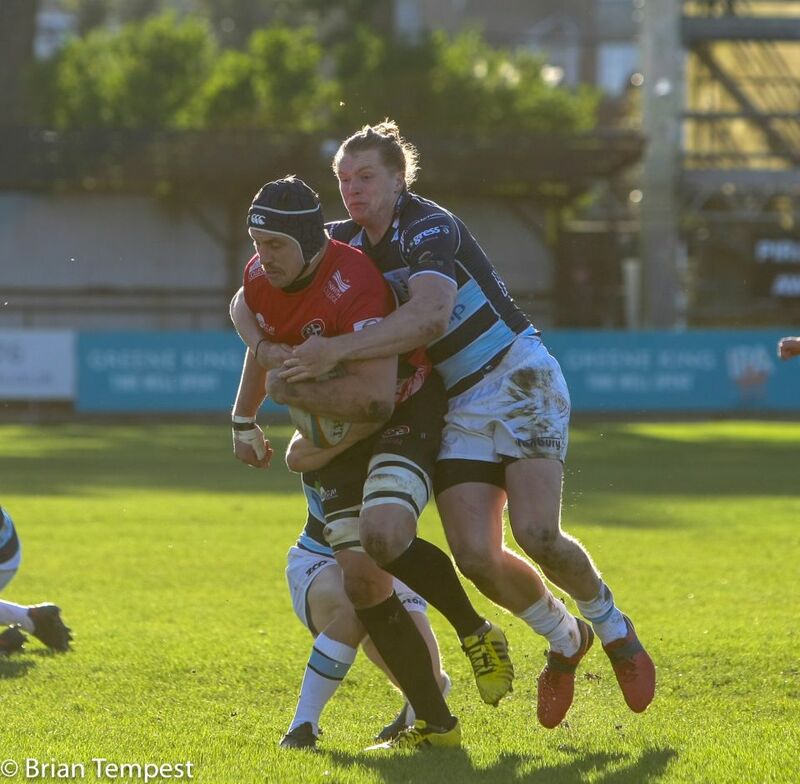 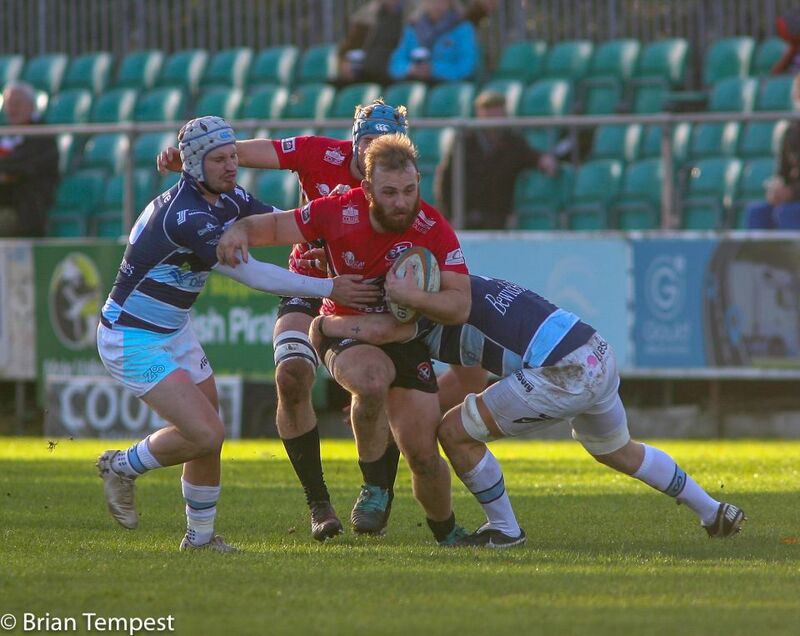 Bedford’s response finally came close to the half hour, when a deft show & go from scrum half, Alex Glitzen – created sufficient gap for him to dart over at the Newly End. 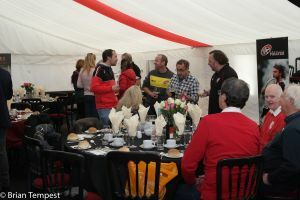 Ed Coulson couldn’t miss the extras and the scene was set nicely. 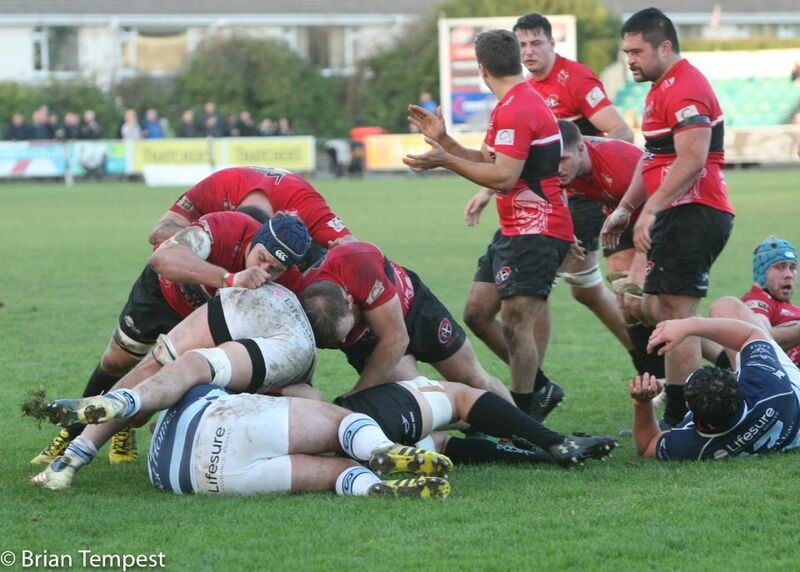 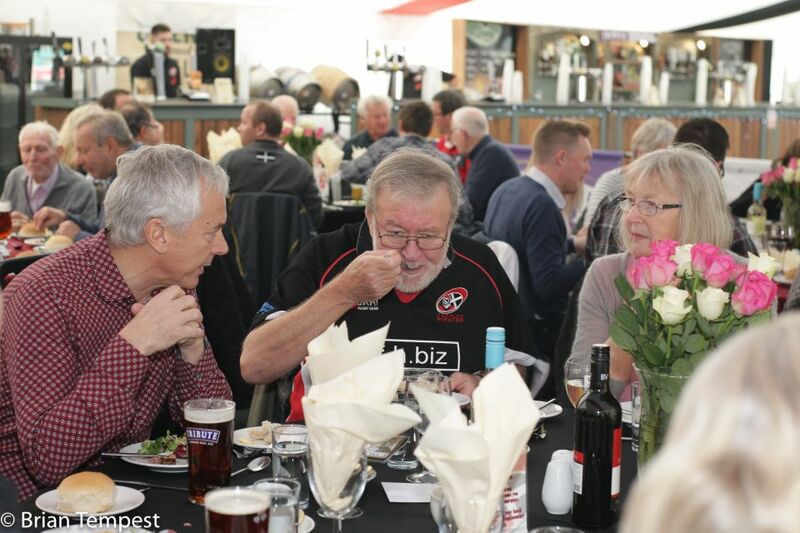 After the break – and it was the home side who were to blink first with barely five minutes past. 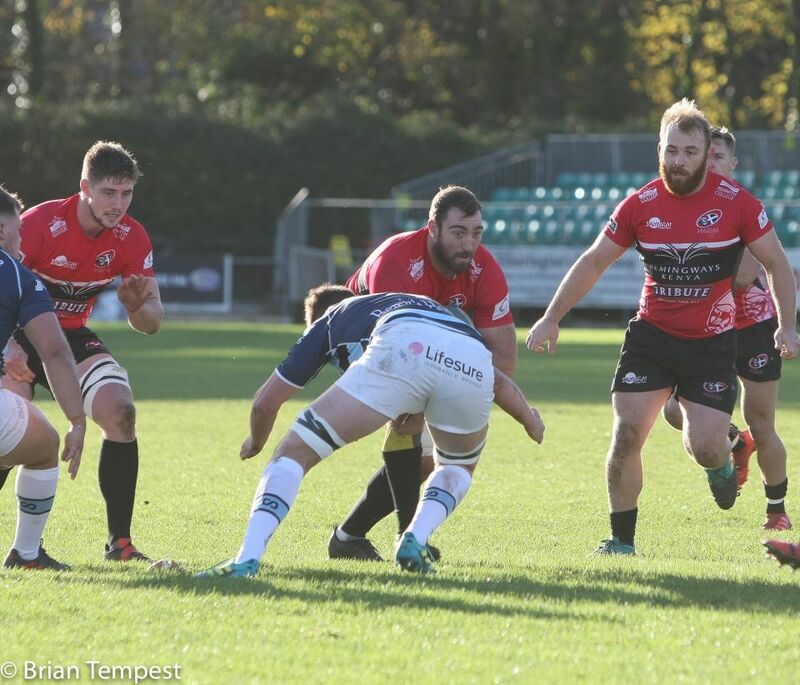 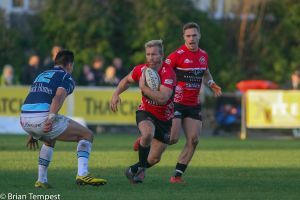 Worse for the Pirates – it was following a great break from centre, Callum Patterson, who did the hard work before losing possession in the offload deep in Bedford’s half. 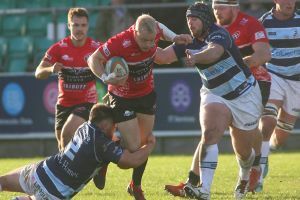 The Blues took this gift with glee and Dean Adamson’s kick and chase with an absent Pirates defence, brought the visitors to within only a point. 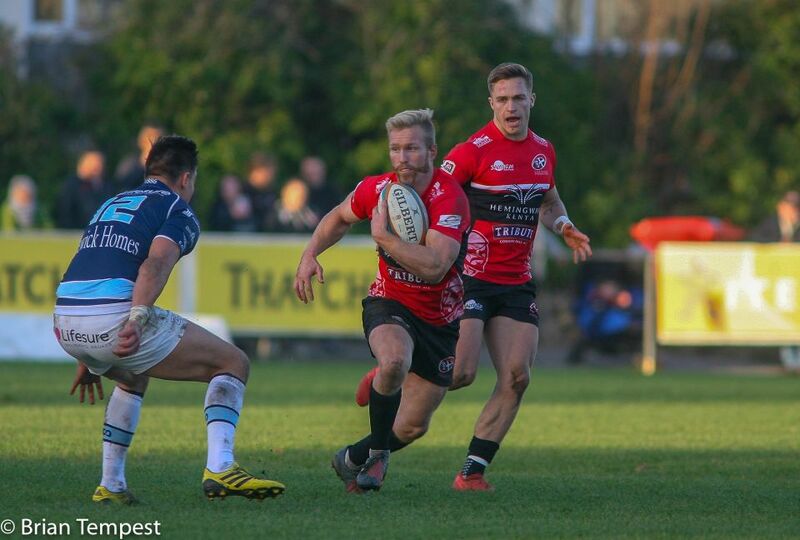 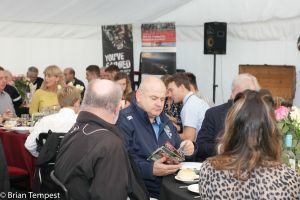 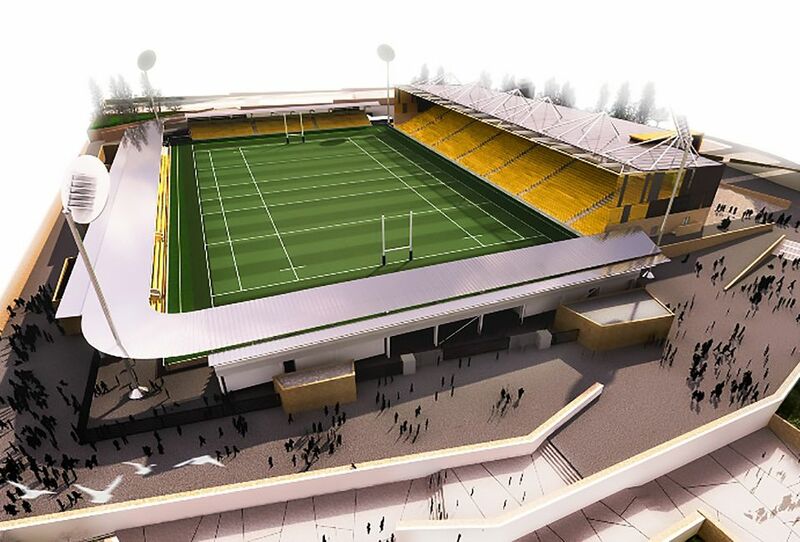 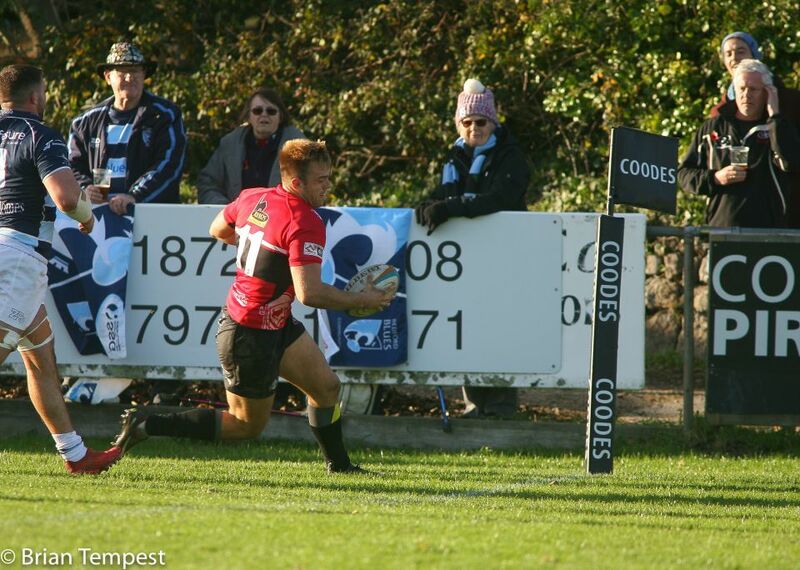 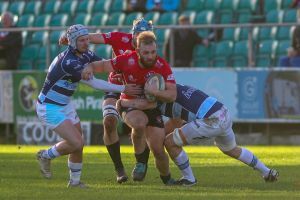 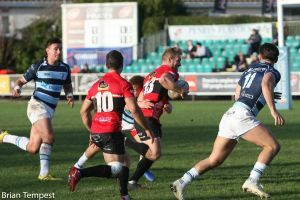 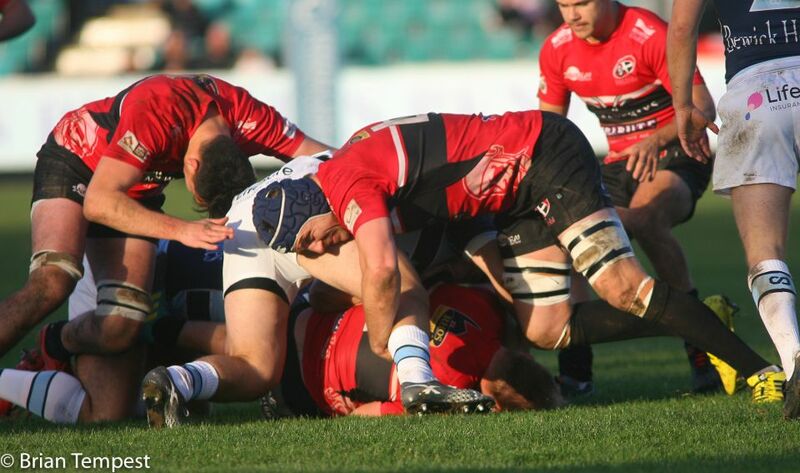 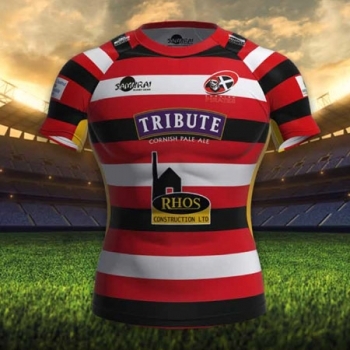 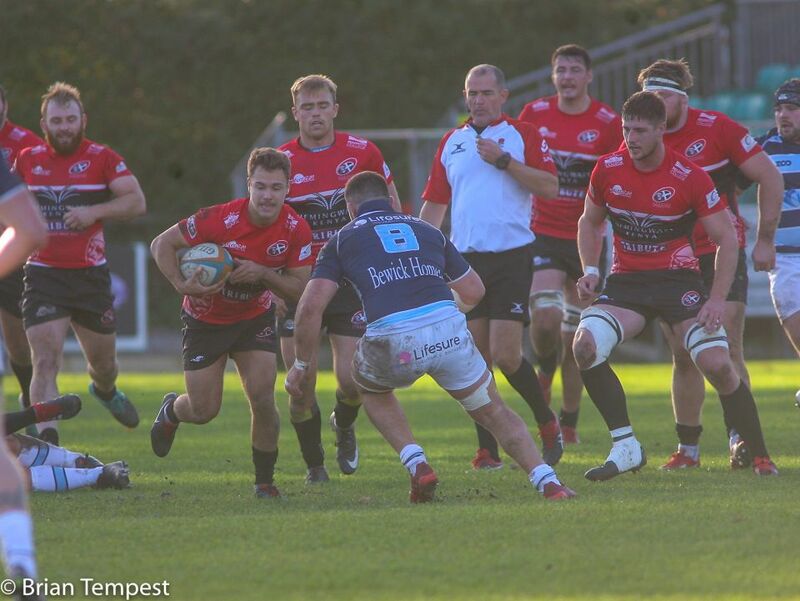 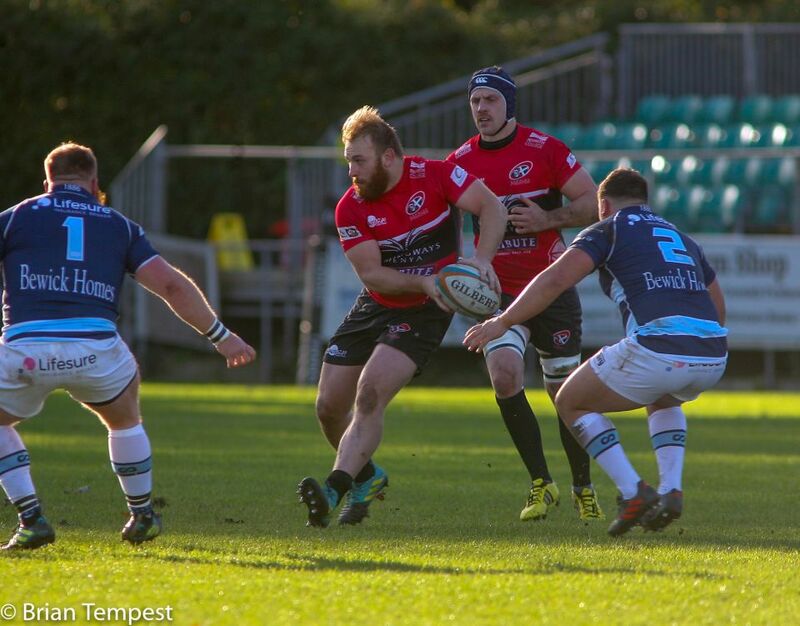 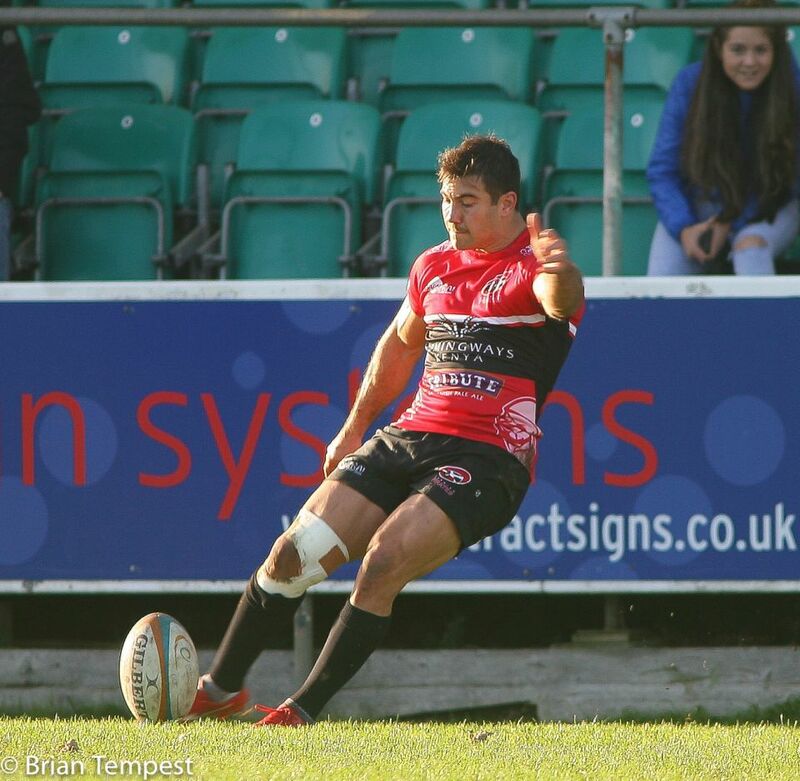 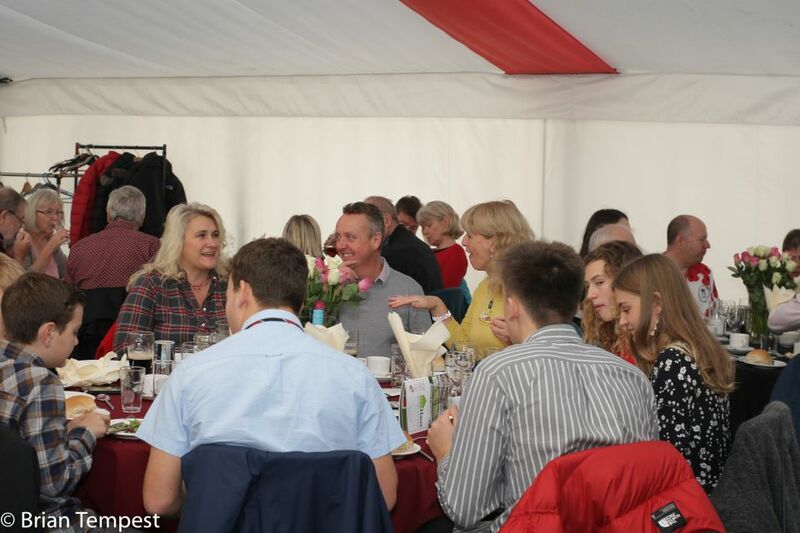 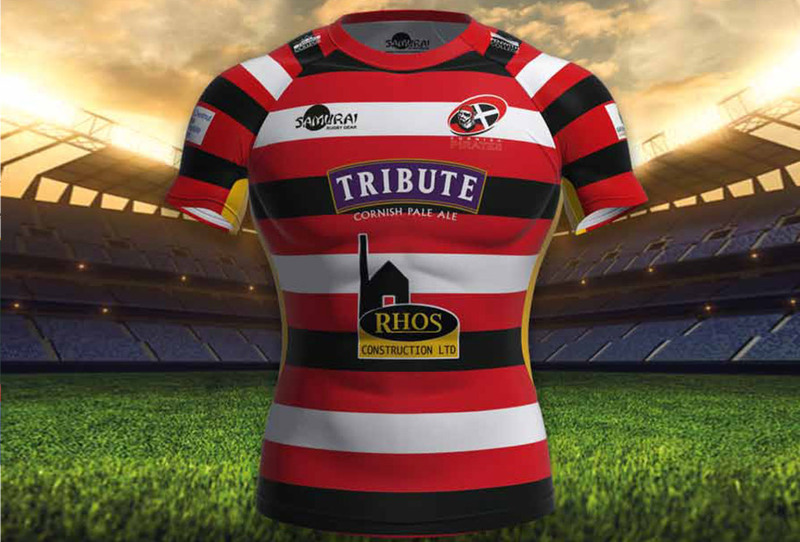 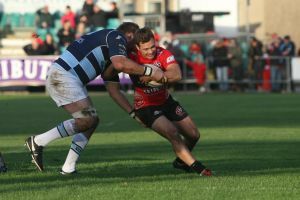 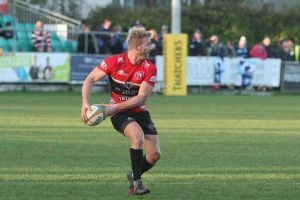 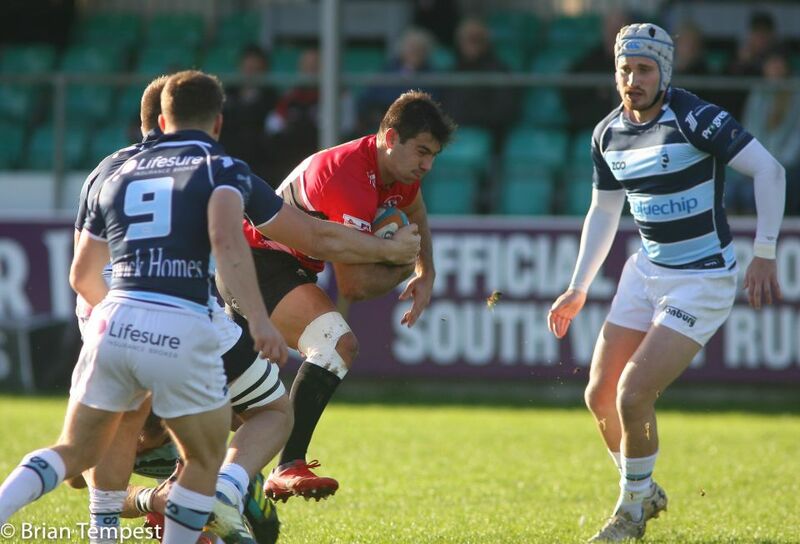 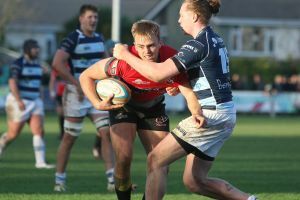 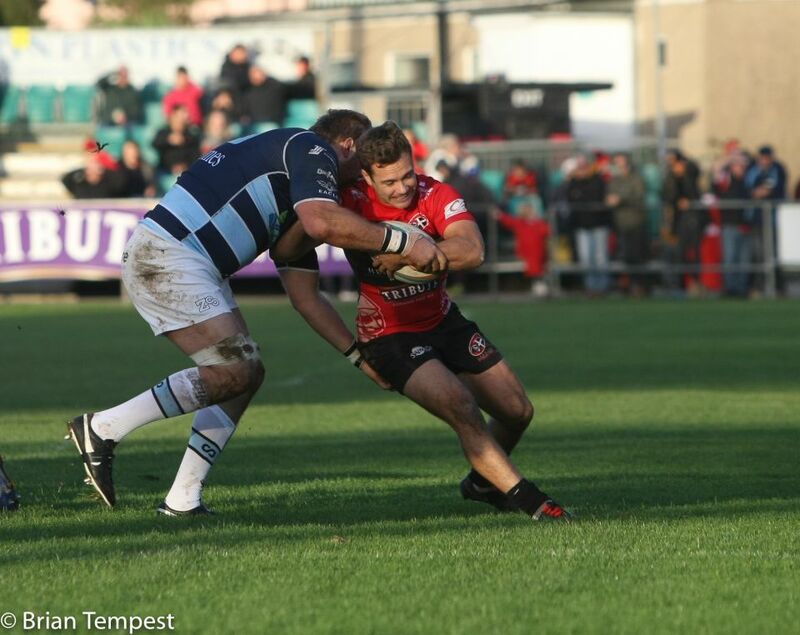 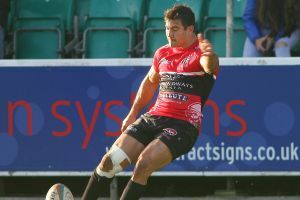 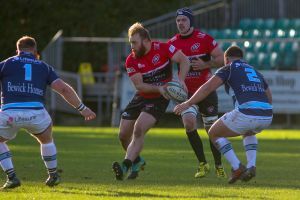 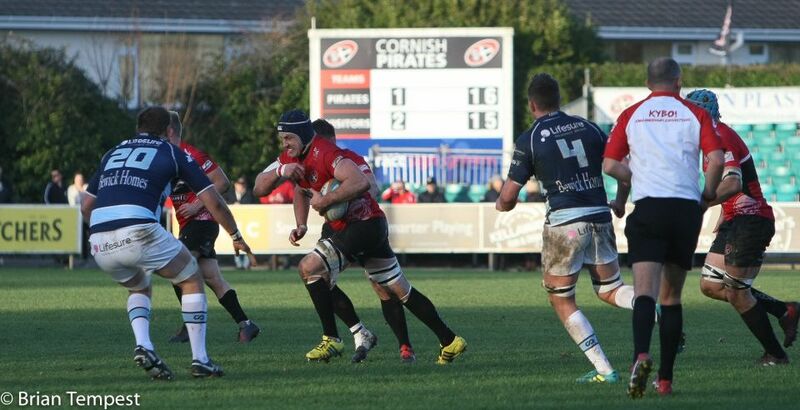 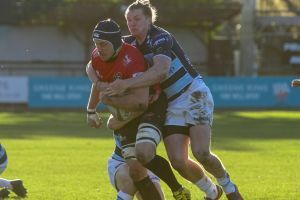 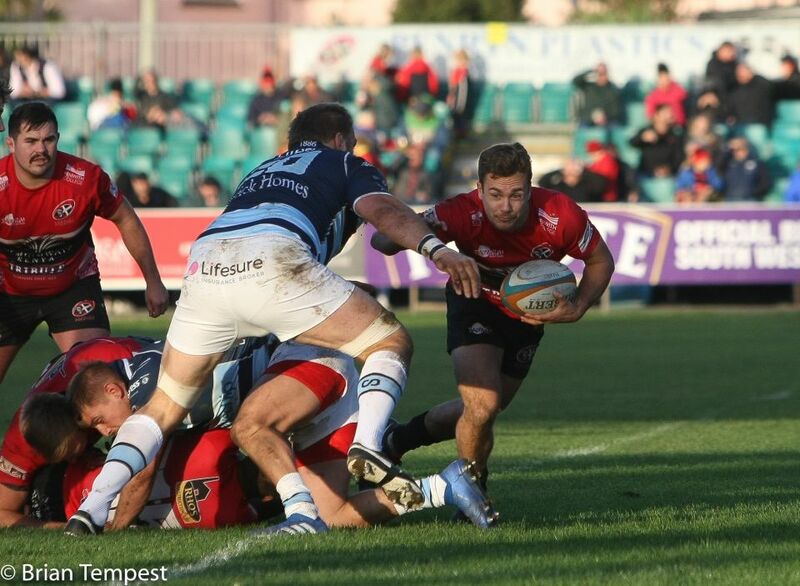 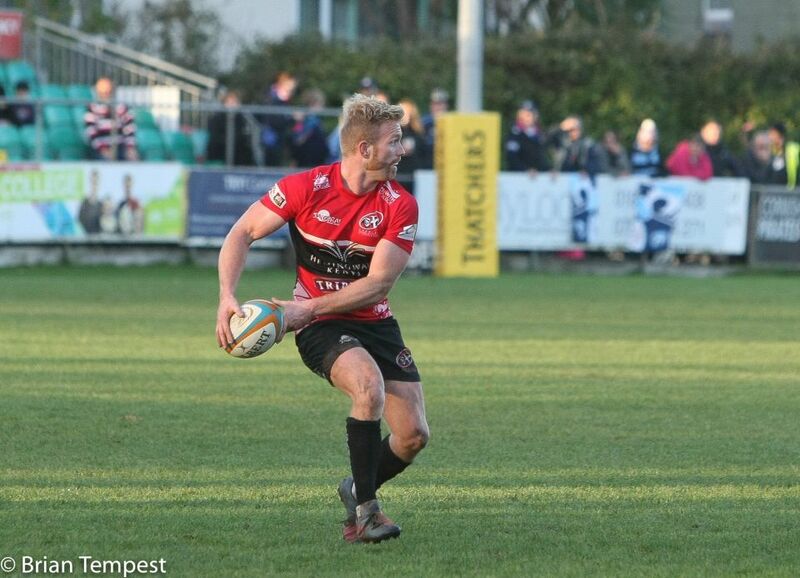 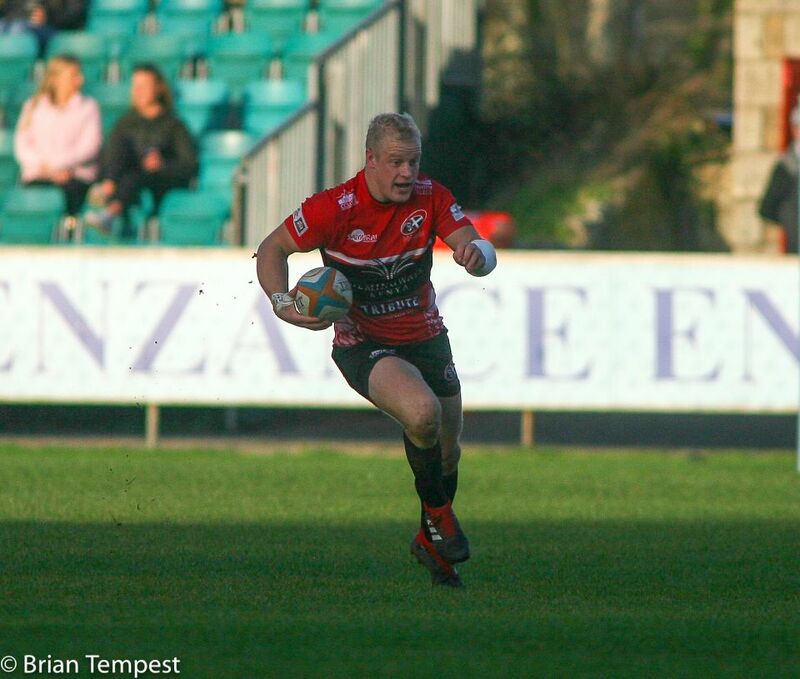 Ed’s radar from the shadow of the main stand went ‘awol’ – but the momentum was most surely with Mike Rayer’s charges. 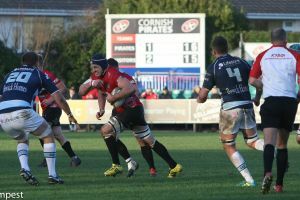 Momentum though is one thing – it needs turning into points – and the Pirates were in no mood in dishing out any more charity to their opponents. 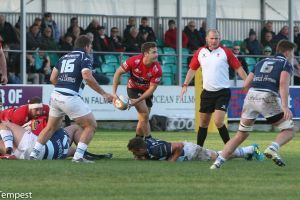 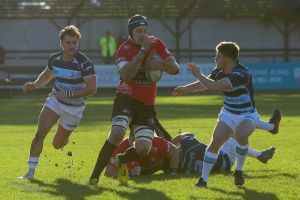 Javier’s 4th & 5th penalties did enough to keep the Blues at arms length – and despite a late, unconverted try from Ryan Hutler in the Clubhouse Corner. 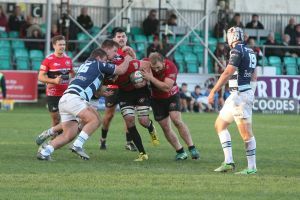 There was still time for Bedford however – and their patient approach player drew enough anxious glances at watch from the side lines. 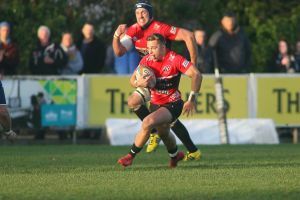 Anxiety turned to relief as this final push was not only repelled – but forced a knock on which handed the ball back into Cornish hands. 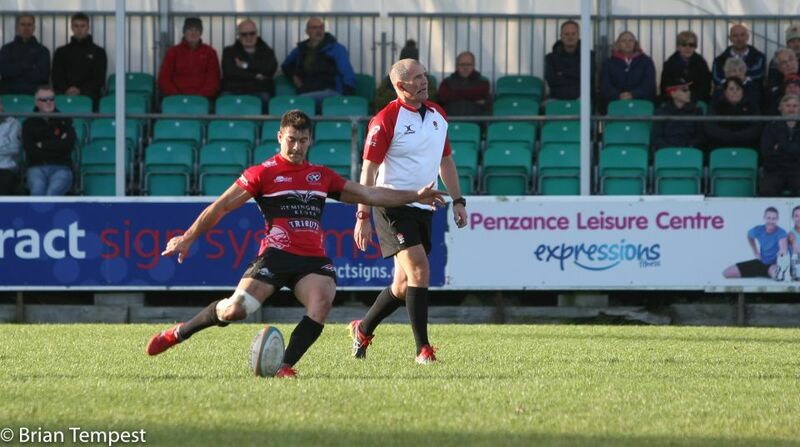 The clock was run down perfectly allowing scrum half, Alex Schwarz, with the chance for one final act of holding our collective breath – his kick into touch teasing us to perfection.